an incomplete outfit. or rather, half an outfit. i guess. 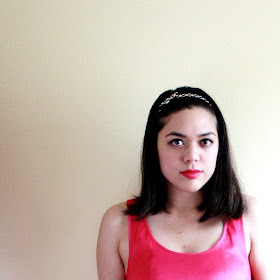 i looked a little busted that day, thanks to my consumer behavior test which completely fried my brain. but it was worth it because i got an A (yessss!). sorry. had to brag. bragging is bad, but whatever. it was the best thing this week. and it's been a weird week, what with all those stupid issues i've been having with the registrar and spotting erik estrada at bloomingdale's during my internship (no, seriously. he asked me for my opinion on the sweater vests he was trying on. RANDOM). anyway, the registrar denied my summer school classes, which means i have to find something else to fulfill 2 unrestricted elective credits by december, which is when i was supposed to be done with school. forever. as in, graduated. so much for being "unrestricted". bleh. they never sent me the original denial letter though, so i took the classes anyway. great. and now all the fall classes are filled and i e-mailed about 10 or so (not even exaggerating) professors, but almost all of them said i couldn't even get on the waitlist. except one. i didn't even care which class it was, i was just grateful that the professor said i could take it. 5 weeks, online, 3 credits. starts october 17th. and it's...music history? sure! i'll take it. i need it. at this point, i don't really care what elective i'm taking. i don't want to register for just one class in the spring. that would be silly. 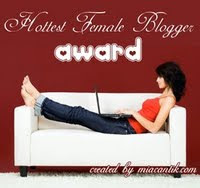 on the bright side, i was given the "hottest female blogger award".